Efforts by global mobile phone solutions company Nokia to fight counterfeits through collaboration with state agencies have started bearing fruit, offering hope for increased tax revenues and job opportunities lost through importation of fake goods through the countryâ€™s points of entry. 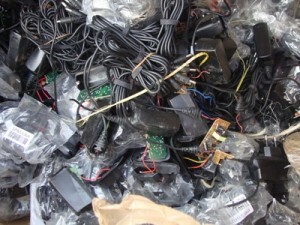 A Somali businessman Mr. Ibrahim Khalif of Salihiya Cargo and Shipping Agency Ltd was fined Kshs 1.5 million by an Eldoret court after thousands of suspected counterfeit Nokia accessories which included Nokia handsets, batteries, chargers, imported through the companyâ€™s name, were seized in a warehouse at the Moi International Airport, Eldoret. After a number of court hearings, the court ruled in favour of the Weights and Measures department, ordering the destruction of the goods and a fine of Kshs 1.5 million. The fine was paid by the importer and the goods have now been destroyed according to Mr. Kephers Ndika, an officer from the Ministry of Trade. Hailing the raid as an encouraging step by government authorities, Mr. Oyolla said Nokia will continue with its collaborative efforts through training of Kenya Revenue Authority and the Kenya Bureau of Standards officials to distinguish the fake from genuine Nokia products. The company is also organizing training for immigration officers at border entry points to arrest the entry of fake handsets. Mr. Oyolla said although the government removed 16 per cent Value Added tax (VAT) on mobile phones in the last yearâ€™s pre-budget, significant gains could be eroded by the influx of counterfeits. â€œOur advice is that customers should buy Nokia products from authorized distributors and retailers and ensure they get their 12-month warranty for Kenya, Uganda and Tanzania. And if a product is purchased from a location other than an authorized dealer then exercise extreme caution especially when the price is substantially less than being stated by Nokia authorized dealers,â€ said Mr. Oyolla. He said the recently-enacted Anti-counterfeit Law was a shot in the arm for the economy and a major win for legal businesses such as Nokia that have invested heavily to offer customers genuine products. The Anti-counterfeit law spells out harsh penalties including a fine Kshs 500,000 or five years imprisonment for those guilty. According to Kenya Association of Manufacturers (KAM),Â the Kenyan economy loses about Ksh 50 billion annually to counterfeitersÂ and the extent of the problem exacerbated last year, when the figure went up to Kshs 70.2 billion. Directly, KAM estimates that the government is losing Kshs 19 billion annually. â€œCounterfeiting is an illegal activity that affects many successful consumer product companies on a global basis in a wide range of industries and the national economies in which they do business. This illegal practice has a debilitating, draining effect on the Kenyan economy through lost revenues, fewer jobs in legitimate local businesses and law enforcement costs among other things,â€ said Mr. Oyolla. The malpractice is also threatening regionalÂ economic benefits of the East African community with KAMâ€™s Standards and Regulatory Committee estimating that counterfeit and substandard products cost the East African region over Kshs 40 billion (US$ 500 million)Â in lost government tax revenue annually. He said Nokia will continue to undertake consumer awareness especially on how to identify genuine Nokia products right from the packaging, features, pricing and warranty period as well as risks of using counterfeited products. â€œAs a global company Nokia partners with and takes a leadership position in a wide network of organizations to advocate for legislation, regulations, procedures and other enforcement policies to protect the broader industry, including Coalition of Intellectual Property Rights (CIPR), International Anti-Counterfeiting Coalition (IACC), Quality Brands Protection Committee (QBPC) among others,â€ said Mr Oyolla.